On Saturday night, around 1 a.m. I woke up. I felt weird and thought it was time to go to work because I went in at 6:30 a.m. I looked out my window and saw a red sky. Then I remembered a line from the Lord of the Rings movie, "It's a red sunrise. Blood was shed this night." During the rest of the day, I attributed that wake up call as a prelude to my mom being arrested. It wasn't until I got home and checked twitter that I found out what happened to Tam and Cinthya. I realized that when I woke up, it was because I felt the disturbance in the force when the accident happened. When their lives transcended from this life into the next. 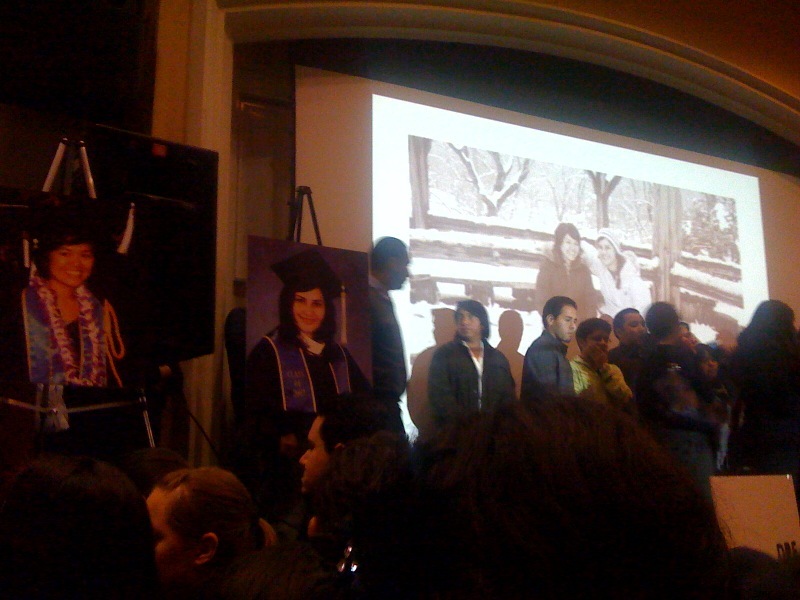 Their memorial was a celebration of the lives they lived, the activist they are and the friends they touched on their journey of life. Everyone got to know both of them just like their closest friends know them and will forever remember them. I know I did. It was hard to see everyone feel soo much pain from their leaving, but it was a joyful kind of pain. They were in that room today supporting and comforting everyone. During the memorial service, my sister was texting me. the following two screen shots are snips of what we were talking about. 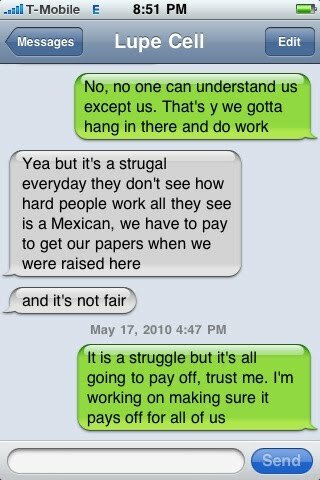 I do what I do because she needs the DREAM Act as bad as we all do. 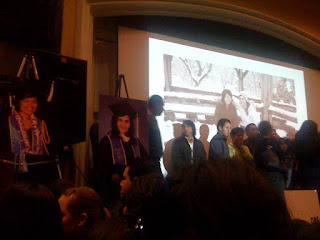 Everyone at that memorial did what they did because they want to help the next generation of undoc kids make it to higher education and strive for a better life. At the same time, three DREAM family members participated in civil disobedience, doing a sit in in John McCains office in Phoenix AZ. They sat there for hours and eventually got arrested for trespassing. These are all links of media coverage.